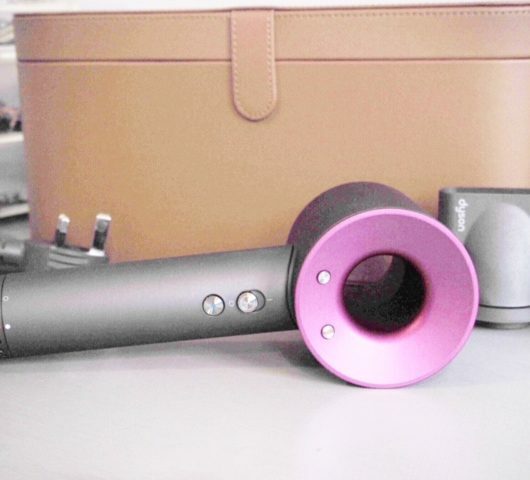 Who knew that one little tool – a very obvious one at that – would be the answer to everything when it comes to dyeing your hair at home. I’m definitely a home-dyer; when my friends tell me what they paid at the hair salon for the senior colourist, I’m always a bit taken aback (and mentally translate it into how many shoes). However, that’s not to knock anyone who loves a salon visit – I know that friends who will happily shell out for a colouring session thought it was crazy that I spent money on lash extensions instead of buying a mascara! It’s very much each to their own. My most recent find is Vidal Sassoon Salonist. If I find a dye I love I tend to stick to it for years and don’t often go off the beaten track. If you make a mistake with home hair dye it doesn’t disappear overnight as I very well know, having sported black hair for several weeks that drained every ounce of colour out of my face. I had thought it would be a nice, dark brown. 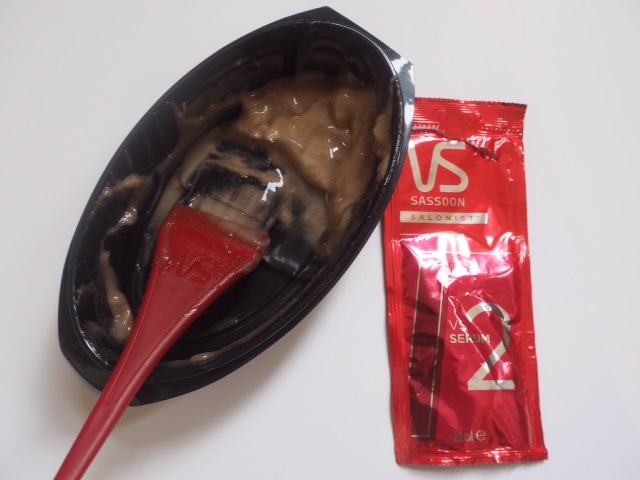 When I was asked to try Vidal Sassoon Salonist, I have to admit I was a bit nervous. But, I met with Stuart Ross, Vidal Sassoon Atelier Colourist, and he picked out Dark Neutral Brown for me, so at least I didn’t have to be concerned that I’d look ghostly again. I think that’s the one thing that’s the most difficult about choosing a new dye – you don’t really know exactly how it’s going to be on you til it’s too late. 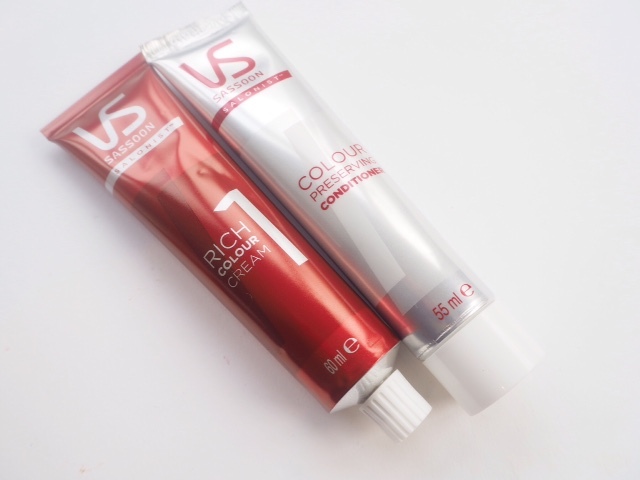 The USP of Vidal Sasson Salonist is that it colours roots then lengths and it does this by using a weaker solution for lengths than roots. I started this post by saying one little tool changed everything, and it has. 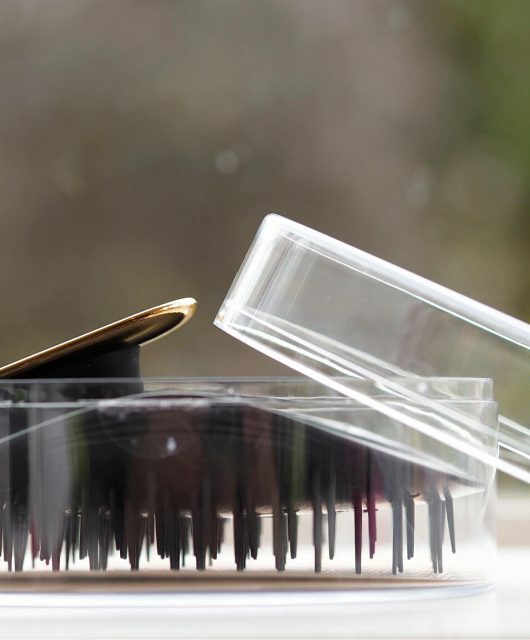 Vidal Sassoon Salonist contains a brush, just like salon colourists use, so you can paint the product with accuracy rather than relying on a squirty nozzle and ruffling it in with your gloved fingers. That simple thing has made the most enormous difference and gave me a bit of a head-desk moment wondering why I’d never thought to do it myself. Or why, in fact, it’s not standard issue with every home-dye. So, how to use. Inside the box, you get Colour Cream and Colour Activating Lotion for Step One, and then you get a sachet of Serum for Step Two. 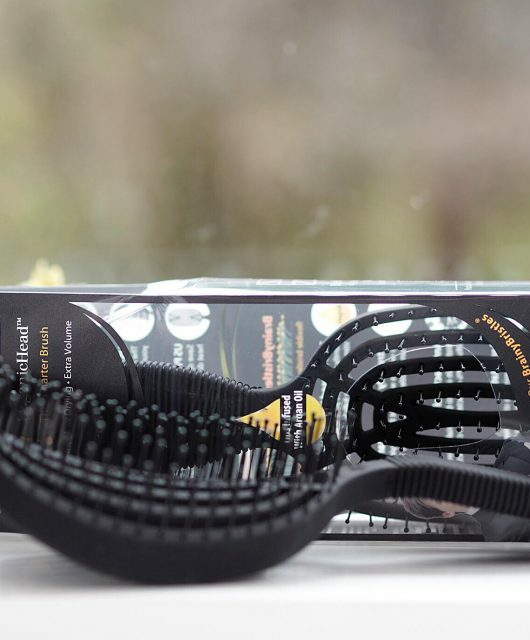 There’s an oval shaped dish that you mix in both Step One products using the brush (it does take a bit of mixing) and use three quarters of the mix to target roots. There are clear instructions in the box on sectioning your hair to get to all roots – I must admit I didn’t follow it to the letter and the results were still absolutely fine. The last quarter that goes on lengths. Then, you wait 20 minutes. After that time, you mix in the Serum of Step Two with the one quarter remainder and massage it through the lengths. Leave it on for ten minutes, then rinse the whole lot off, using the conditioner as a final treatment. 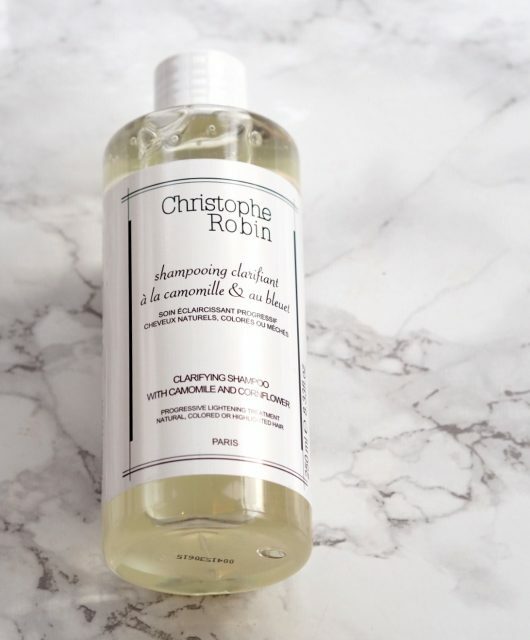 The whole sectioning then brushing thing is so much easier when you’re not trying to cover all of your hair with dye – the texture of the serum/dye mix feels more like a conditioner than a dye so it’s not that different to applying a hair mask. The brush makes a massive difference in ease of application – I hated that nozzle dribble thing, but didn’t know any different so I’ve had my eyes opened. I am thrilled with the result – no patchiness at all, all my greys completely covered (and the product last is very good) and my hair was absolutely gleaming with shine. I genuinely didn’t think I could be persuaded away from my regular dye but I hold my hands up and say that I’m an absolute convert to Vidal Sassoon Salonist. Have you ever coloured your hair before? If Yes, when and what did you use? What hair shade would you like to achieve? You MUST include a photograph that shows your current hair colour. Please use email address bbbvssalonist@ketchum.com. Stuart will personally advise on what colour match he feels is best for you, and Vidal Sassoon will directly contact the first twenty people and send two boxes of Salonist to each respondent. If you don’t hear back, you’ve been pipped at the post! You need to be UK based, that’s the only requirement and over 18 but please do read the terms and conditions below. I’m also keen to get your feedback so other readers don’t have to rely solely on my view, so I’d ask that you be willing to give it once you have tried the product, and I’ll cover it in a separate post. *NB You MUST patch test first. **This offer closes on June 7th. #This post is sponsored by P&G/Vidal Sassoon.  The promotion is open to all residents in the UK and Republic of Ireland 18 years of age and over, excluding employees of Procter & Gamble UK and its affiliates or agents, the families of such employees and any other person connected with this promotion.  To enter simply email the answers to the ALL questions included within the post (see below) to bbbvssalonist@ketchum.com along with a recent photograph showing your current hair colour. The photograph must be of you only, i.e. no other people to be in the photograph. o Have you ever coloured your hair before?  When did you last colour your hair?  What type of product did you use? o What hair colour would you like to achieve?  Only one entry per person. Entries only valid with answers to all specified questions and a suitable photograph. No bulk or third party entries accepted.  There are (20) prizes. Prize(s) are as stated and cannot be transferred, sold or exchanged. There is no cash alternative. Only one prize per household. 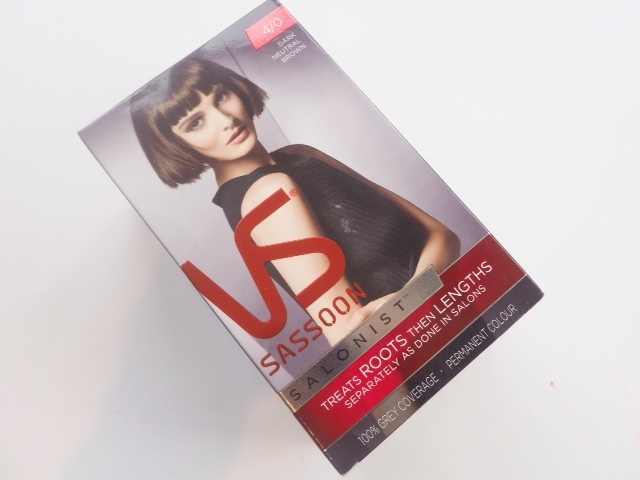  The first twenty valid entries received at bbbvssalonist@ketchum.com before the closing date of midnight on 07/06/15 will win two boxes of VS Salonist Home Hair Colour in a shade specifically chosen for them by expert Vidal Sassoon Atelier Colourist Stuart Ross. 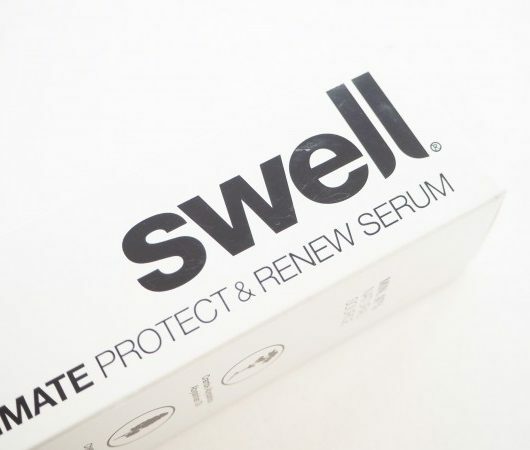 Ahead of trying the product, all competition winners MUST carry out a patch test 24 hours before they intend to colour their hair and will be required to sign a disclaimer to confirm this.  By entering this promotion, the winners agree that they will review their experience of using the product for a future post by July 2015 to be published on www.britishbeautyblogger.com.  The winners will be notified in writing within 28 days of the closing date. A list of the winners will be available on www.winners-list.co.uk after this date.  In the event the claim for a prize is not received by the Promoter within 7 working days of such notification, including signed disclaimer re. patch test and confirmation they will review their experience of using the product for a future post to be published on www.britishbeautyblogger.com, the Promoter reserves the right to select an alternative winner.  The Promoter reserves the right to substitute the prize of equal or greater value in the event of unavailability due to circumstances beyond their control.  By entering the prize draw, entrants agree to be bound by the rules and by any other requirements set out in the promotional material.  By entering this promotion, the winners consent to any publicity generated as a result and use on websites, magazines or mobile services at any time without further consent or payment. PROMOTER: Procter & Gamble UK, Weybridge, Surrey, KT13 OXP. I’ve always used a brush with my hair dye and to stop the lengths getting over-saturated I do an all over colour at home about once a year then every month use half a pack of colour (usually Nice N Easy) to do the roots and random small sections through the lengths so it’s properly multi-tonal and doesn’t look flat like all over colour can sometimes. Also it’s far cheaper than using a whole pack a month! I still miss the clear Vidal Sassoon shampoo that they used to do in the 1980s. Will they ever bring it back to the UK? I’ve used other incarnations of Vidal Sassoon hair dye, but I haven’t come across this one yet. I do like their hair dye though. It seems to last longer than some of the other brands I’ve tried. As for the whole nozzle dilemma, I find that it works best if you squirt the dye directly onto your roots and then use a comb with a tail to distribute the dye through the rest of your hair. I recently tried another hair dye with a similar kind of brush, and I didn’t think it worked as well as the nozzle method. This is a great post. And I wonder if you, as a blogger and other bloggers, feel nervous about the attached terms and conditions and the way we enter the competition here? If nervous… Don’t be! It’s awesome. I personally don’t colour my hair so I didn’t enter but I was very interested in how nicely you wrote the post and read it to the end anyway! I’d rather be 100% clear – Ts & Cs often look daunting and one of the reasons I do so few give aways but it’s better to play by the book than be misleading in any way. I recently tried this product and I am totally converted. Having avoided permanent dyes for years for fear of my hair turning much darker than anticipated I gave Vidal Sassoon Salonist a go and the results were fab. I love the idea of treating the roots and lengths separately and using the brush to paint the roots and the colour is even and covers my patch of grey. I will definitely be using this to colour my hair in future.